Just steps away from the bus stop bustle of Monument Square is a no-frills doorway that leads to the Somerset Club – Racine’s most exclusive fraternity and perhaps the ultimate good old boys network. It occupies the top floor of the Janes Building, a five-story structure at Sixth and Main streets. The club faces Lake Michigan, the Downtown post office and a bus stop crowd of students, working people, hustlers and idlers. The Somerset Club, however, is literally and figuratively far removed from the petty concerns of the street. It is a men’s club that for more than 100 years has culled its members from Racine’s wealthiest, most influential and respected families. Men do not apply for admission to the Somerset Club. The club decides who will be offered the fewer than 100 memberships. Open the glass door at 201 Sixth St. and step into the small lobby. There is an elevator that ascends to the club’s quarters, marked simply with the words, Somerset Club, in white letters on a wooden door. A handwritten note on white cardboard advises visitors to ring the doorbell. There is no answer on this day, nor were there any replies when Somerset members were asked about the club’s organization, its activities and membership. Requests for interviews were politely refused by several Somerset members, including noted attorney Glenn R. Coates, the club’s outgoing president, and Lloyd C. Meier, a retired accountant and former Wind Point village president who has been the Somerset Club secretary /treasurer since 1987. Meier said he couldn’t think of any member who would agree to be interviewed. It is legally known as a “private men’s club” on the annual reports Wisconsin’s nonprofit corporations have been required to file since 1986. It is obvious that the word “private” is considered a serious obligation for members. They will not discuss the club, which regularly meets for lunch on Mondays. There also are occasional evening dinners at the Somerset Club, and members can use the fifth floor club house for private parties. Most of the functions are for members only, but the Somerset Club holds an annual picnic that includes wives and family members. This year’s picnic is scheduled for Aug. 12 at the Charles A. Wustum Museum of Fine Arts, 2519 Northwestern Ave. A spokeswoman for the museum said the club’s picnic traditionally is held in the garden and a big tent is used to accommodate the crowd. When they meet in the Janes Building, the men of Somerset dine in a room decorated with reddish wallpaper and dark wainscoting. There is a small bar and a full service kitchen that must be inspected and licensed as a restaurant annually by the city health department. A recent inspection earned the club a respectable 92. Inspectors describe the club as plush, but not breathtaking or awe-inspiring. The club has a seating capacity of 82 at the restaurant style tables that dot the main room. One of the city’s sanitarians, Darren Collins, said Somerset members always are very polite and cooperative. The club was organized in 1892 by Herbert F. Johnson, E.B. Hand, Jack Pitcher, W.V. Adams, George Bolton, Harry Hambright, Edward Wratten, Ernest Hueffner, Arthur Guilbert, Charles Pugh and John Workman. Johnson was the great-grandfather of Samuel C. Johnson, chairman of S.C. Johnson & Son Inc. Samuel C. Johnson is believed to be a member of the Somerset Club, but could not be reached for confirmation. The Janes Building has been home to the Somerset Club for many years, although the meeting days have changed. In the post-World War II years, for example, the then-65-member club met for lunch every Tuesday and for dinner every other Saturday. For much of this century, the club’s chef came from the same family. Tom Weaver was the chef from 1911 until his death in 1946. He was succeeded by his son, Kenneth Weaver. The Somerset Club’s bartender, Don Reiter, has held the part-time job for about 10 years. He described it as “a fantastic place,” but quickly referred all other questions about the organization to club members. In 1971, the club incorporated as a nonprofit organization. A description of the club’s purpose in the articles of incorporation offers little insight into the operation of Somerset – though it rambles on in a tract of legal-speak that totals more than 175 words. Somerset Club Inc. is described as a membership club that owns, operates and maintains meeting space for the social, entertainment and recreational enjoyment of its members and guests. The nature of the recreational, entertainment and social gatherings is not defined. 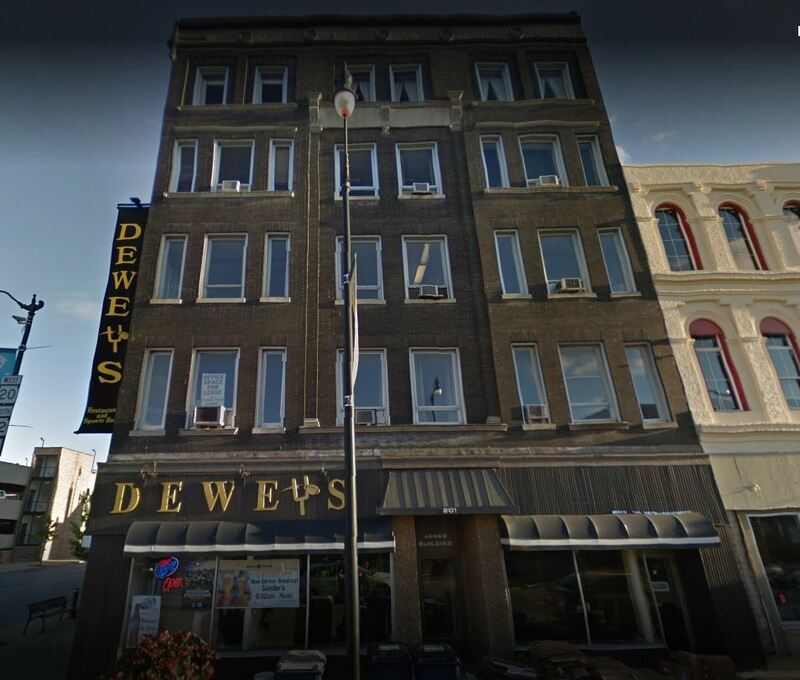 The articles of incorporation listed the initial directors as William C. Kidd, formerly of 3063 Michigan Blvd., Charles Folwell, of 1136 Main St., and the late George H. Wheary Jr., of 44 North Vincennes Circle. The officers for 1994-1995 are Coates, president; William F. Rayne, vice president; and Meier, secretary-treasurer. The three officers also constitute the board of directors. Rayne is expected to serve as president for 1995-1996. It’s a small and elite group. A list of the known members of the Somerset Club reads like a Who’s Who of Racine’s most powerful movers and shakers. Alex A. Barry, of 2515 Rivershore Drive, a retired executive of the Midwest Division of Vulcan Materials Co. Barry is a past house chairman of the club. Peter E. Barry, of 3615 Nicolet Place, the retired president and chief administrative officer of Thiem Corp., Milwaukee. The brother of Alex A. Barry, he served as president of the Somerset Club for 1993-1994. Michael E. Batten, of 3419 Michigan Blvd., president and chief executive officer of Twin Disc Inc. Batten was club president for 1992-1993. Horace N. Benstead Jr., of 216 N. Vincennes Circle, a retired vice president of Western Publishing Co. Inc. Benstead served as the president of the Somerset Club in 1986-1987. George W. Christiansen Sr., who died in 1993 at age 78. He had been the chairman of Racine Railroad Products Inc.
Glenn R. Coates, of 2830 Michigan Blvd. A noted Racine attorney, Coates once was nominated for a federal judgeship and was a co-founder of one of the city’s largest law firms. Coates is the club president for 1994-1995. Roger G. DeLong, of 2205 Rivershore Drive, a retired vice chairman and former president of Twin Disc Inc. DeLong was the Somerset Club president for 1988-1989. Charles E. Folwell, of 1136 Main St., retired construction engineering manager for S.C. Johnson & Son Inc. Folwell was one of the initial directors of Somerset Club when the articles of incorporation were filed in 1971. William D. Gittings, of 5112 Wind Point Road, retired president of Gold Medal Inc. Gittings served as the club president in 1990-1991. George Gorton III, who died in 1988 at the age of 86. He was the president of the George Gorton Machine Co., former director of the Kearney-Trecker Corp. and the founder and director of Gormac Products Inc.
William C. Kidd, address unknown, a Racine businessman, entrepreneur and retired chairman of the board of Western Publishing Co. Inc. Kidd was one of the initial directors of the Somerset Club when the articles of incorporation were filed in 1971. Lloyd C. Meier, of 5019 Hunt Club Road, a retired partner in the Racine office of Clifton Gunderson & Co., a Peoria, Ill. based accounting firm. Meier, who was Wind Point’s village president for 10 years, has been the secretary /treasurer of the Somerset Club since 1987. Charles E. Perkins, of 6830 Brook Road, retired sales manager for the commercial printing division of Western Publishing Co. Inc. Perkins served as vice president of the club in 1986-1987. William H. Pugh, who died in 1988 at age 71. He had been the president of W. H. Pugh Oil and Coal Co., one of Racine’s first and historically most influential businesses. Pugh was a descendant of one of the Somerset Club’s founding members, Charles Pugh. William F. Rayne, of 9503 Washington Ave., senior vice president of Dain Bosworth Inc., a stock and bond brokerage firm. Rayne is the Somerset Club vice president for 1994-1995 and is expected to serve as president for 1995-1996. Morris W. Reid, of 138 Eldorado Drive, a corporate director and business consultant. Reid is a former chairman of J.I. Case Co. who was credited with helping keep the tractor maker out of bankruptcy in the 1960s. Reid served as president of the Somerset Club for 1987-1988. J. David Rowland, of 6411 Charles St., chairman of the board of CRB Insurance and a past president of the Racine Community Foundation. Rowland was vice president of the Somerset Club in 1988-1989 and president in 1989-1990. Gordon R. Walker, who died in 1990 at age 86. He was a former vice president of the firm founded by his father, Walker Manufacturing Co., and was involved in the creation of Walker Forge Co.
Dr. Warren Williamson, of 217 White Sands Lane, a retired physician, community activist and nationally known expert on the subject of alcohol and drug abuse. Williamson was president of the Somerset Club for 1991-1992.